Latest advancements in medicine and pharmacology result into a plethora of novel therapies for cancer and other severe diseases that are revolutionising patient management and offer improved outcomes, quality of life and hope for those affected by cancer and those around them. Such therapies though tend to be very expensive, and while effective for patients with specific genetic profiles of the disease, they have no or very limited effect on others with different genotypes. This fact compromises their benefits at a population level while imposing severe strains to health systems. Moreover, it increases investment risks for the development of further novel treatments. Convinced that molecular imaging is an accurate, safe and economic answer to these concerns, the 2019 Symposium aims to demonstrate that by utilising state-of-the-art technology, localisation of the disease and genetic suitability for a candidate therapy is possible. This enables individualised treatments, allowing health systems to offer the best possible solution to each citizen while simultaneously containing treatment costs. 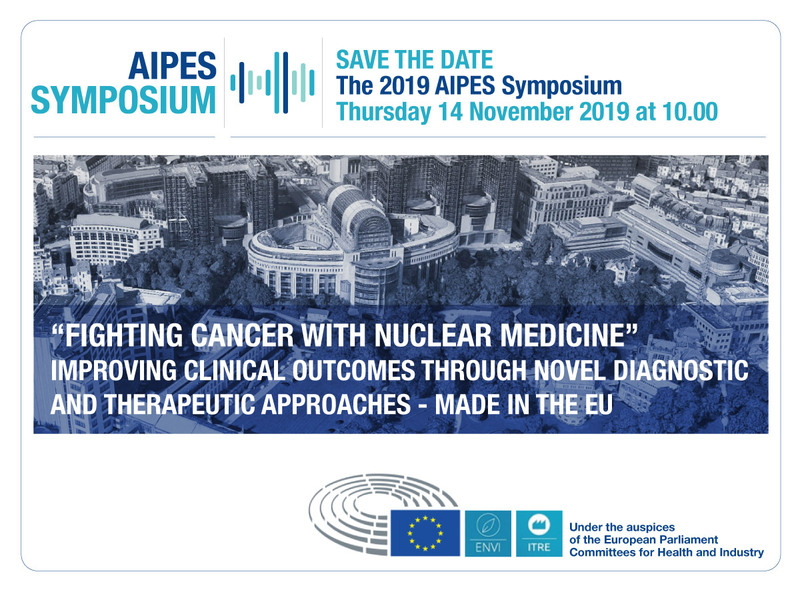 The 2019 Symposium of the European Nuclear Medicine Industry on 14 November 2019 will show you more about how a cutting edge field of medicine that originated in Europe is a success story bringing jobs and developing know-how while helping improve healthcare in Europe and worldwide. Come back soon for full program, speakers bios and registration information.